Look at This, It’s from the Crusades! The Metropolitan curators are at it again. Just when you thought it was safe to walk back through the Arms and Armor hall, admire the century of work that went into building that collection, weave around the people checking out the Colt revolver in the case at the end of the hall, and hang a hard right to the faraway cul-de-sac…BAM! You’re headed even further back in the time machine. 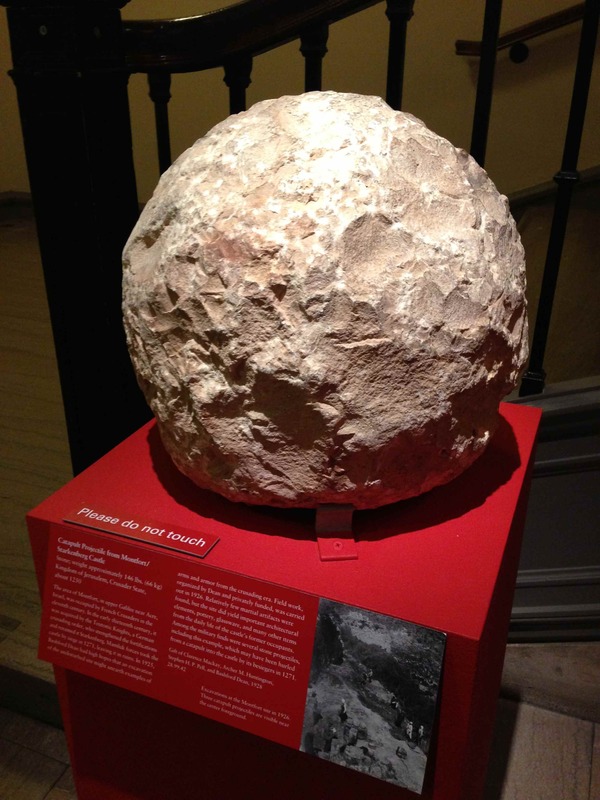 It may look like an asteroid or that lumpy moon model on Dr. Neil’s Scales of the Universe at AMNH’s Planetarium, but it’s something even more amazing — a projectile shot from a catapult in 1271 as part of the Crusades. Apparently it worked, since the German knights holed up in the Kingdom of Jerusalem’s Montfort Castle surrendered to the invaders. The simple hunk of rock is right out there with a “do not touch” sign at the entrance to the tiny Gallery 380 where the Met is honoring Bashford Dean, who began the Arms and Armor collection 100 years ago. It may look all alone, yet it has one of the best, most exciting stories to tell – tales of Teutonic Knights, sieges, Mamluk invaders, grand expeditions, monumental excavations, and private enterprise. Apparently Dean thought that the keep inside the ruined Crusade-era castle in Upper Galilee might have Teutonic armor and other stuff from the 1200s. 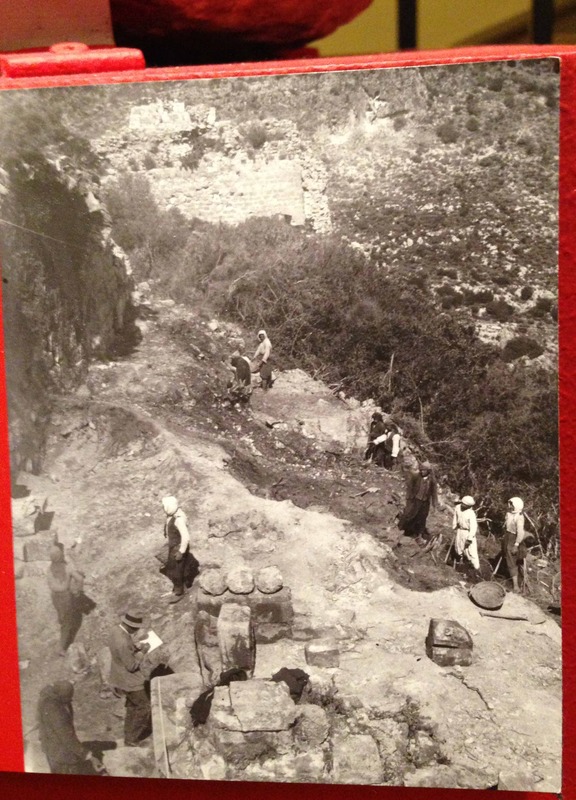 In 1925, he mounted a privately funded expedition to dig it up. He never found what he was after, but he did find day-to-day castle stuff (pottery, glass) and a few catapult projectiles (three are in the photo) lobbed in there by the invaders during the siege. Looking through the Met’s online database, only about 100 items date from the 1200s, mostly from the Islamic countries. 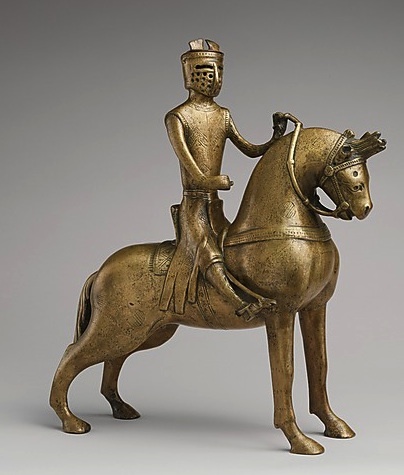 So, go take a look at this unique memento, sitting alone at the foot of the stairs in the furthest corner of the Met’s universe, and thank the curators and crew, who hoisted it out again into daylight 750 years after it met its mark. This entry was posted in Art, History, Museums, Technology and tagged culture, design, history, museums by mssusanb. Bookmark the permalink.